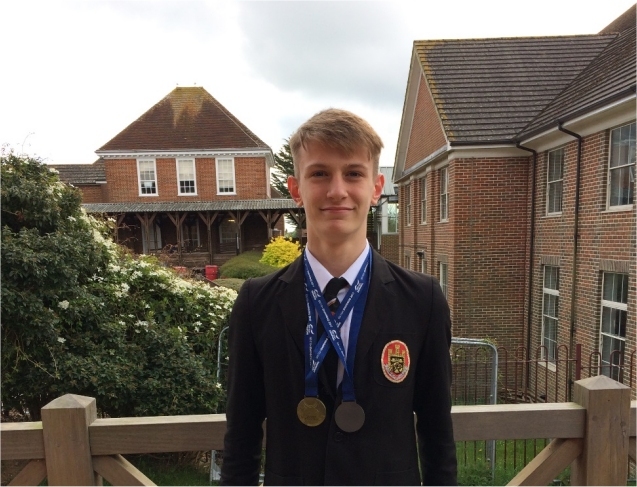 Gold for George at British Swimming Championships. On 27th April through to 30th April George Kelman-Johns 11BM competed at the British Para Internationals 2017 in Sheffield. George took part in six events and made four of them to the British finals. He was unable to compete in the other two finals due to restrictions on his classification. George took part in 100m front crawl, 50m front crawl, 100m back stroke, 100m butterfly, 200m individual medley and 200m front crawl. George came home with two medals, one gold for the 100m back stroke in the time of 1:07.18 long course and one silver for the 200m front crawl also in the time of 2:12.14 long course. George competes as an S14 swimmer. The PE department are extremely proud of George’s achievements at such an elite level. Well done George and good luck for your upcoming exams.